Can Multima Corporation withstand another attack from organized crime? While billionaire John George Mortimer copes with treatment for cancer, the accomplished CEO must also ward off challenges for control of his sprawling fictional American empire both from within the company and from nefarious powers operating outside the law. 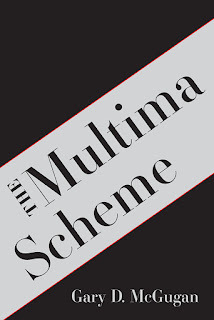 The Multima Scheme is a fast-paced account of the lengths to which organized crime can infiltrate large global corporations and seize control of respected businesses to conceal activities that are both illegal and immoral but generate billions. It’s also a story of survival – how individuals and organizations might react under intense pressures and the ease with which people can cross lines between what’s legal and what’s not. 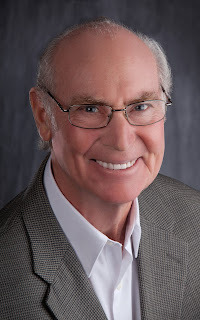 Using his knowledge of how large multinationals operate – accumulated over 40 years working with major corporations around the world – author Gary D. McGugan weaves a tale of intrigue using a writing style that readers will find hard to put down once started. His elaborate scheme to oust John George Mortimer, CEO of Multima Corporation, started to unravel with his first telephone call in the wee morning hours. His contact at The Organization reported that no one could locate Wendal Randall – a development of serious concern to Knight. To engineer the election of Multima Logistics’ wayward division president to the post of CEO of the entire corporation, he desperately needed Randall at the meeting. Events worsened. By mid-day, Knight learned that Randall would not appear at the meeting at all. Instead – at the same time as all the other company direc¬tors – he was shocked to hear the FBI had arrested Randall and was holding him in custody, charged with multiple serious crimes. Knight might still have had a chance to carry out the Mortimer coup successfully until a subsequent startling revelation proved all his efforts would be in vain. John George Mortimer, more devious and cunning than Knight ever imag¬ined, had somehow finagled an exchange of corporate shares. He’d found a way to convert some Multima shares from one class to another. The shrewd maneuver instantly shifted the corporation’s balance of power entirely in Mortimer’s favor. Knight’s plot had no hope of success with the new equity structure. Instead, he found himself trapped in a rapidly unfolding disaster. A decade earlier – on his recommendation – The Organization had invested a billion dollars in Multima. And just the previous week, Howard had knowingly put that billion dollars at precarious risk with his scheme to remove John George Mortimer and seize control. 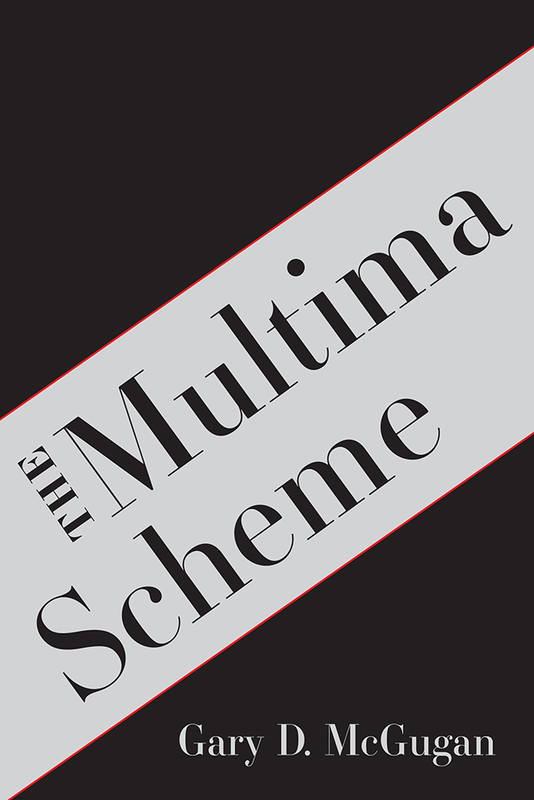 A successful business leader, speaker, and author, my most recent work is an exciting novel, The Multima Scheme. I'm in love with the same special lady for almost five decades. In turn, we love -- and are incredibly proud of -- our daughter, our son, their spouses, and three remarkable grandchildren. Family, friends, and hundreds of other wonderful people also populate my life, repeatedly creating rewarding experiences. I’ve had all this good fortune for many years, with reading and writing often playing integral roles. I’ve loved reading as long as I remember and have enjoyed writing for just as long. For me, writing has taken many forms. Like most, it started with assigned essays as a student and then evolved with my business career. I’ve written letters, speeches, reports, ads, brochures, presentations, proposals, articles, and a blog. My first book was a work of non-fiction – NEEDS Selling Solutions – co-authored with my friend Jeff Allen.